As the first black president, Barack Obama's legacy will always include issues of race. At his farewell speech he acknowledged this: "After my election, there was talk of a post-racial America. Such a vision, however well-intended, was never realistic. Race remains a potent and often divisive force in our society.” His presidency reveals the longstanding myth that American history has always been on a steady, progressive path towards embracing equality for all. The first attempts to create a genuinely interracial democracy were made in the aftermath of the Civil War. This era, from 1865-1877, is responsible for the modern American government we know today, in particular the 14th Amendment. Yet the successes of the era were brief and suppressed by a powerful combination of political backlash and terrorism. As African Americans made gains in political power—from citizenship rights to voting rights—violent campaigns aimed to take them away. The Ku Klux Klan and other lesser-known groups, such as the White Leagues and the Redshirts, worked to end significant attempts to build black political power through violence and intimidation. 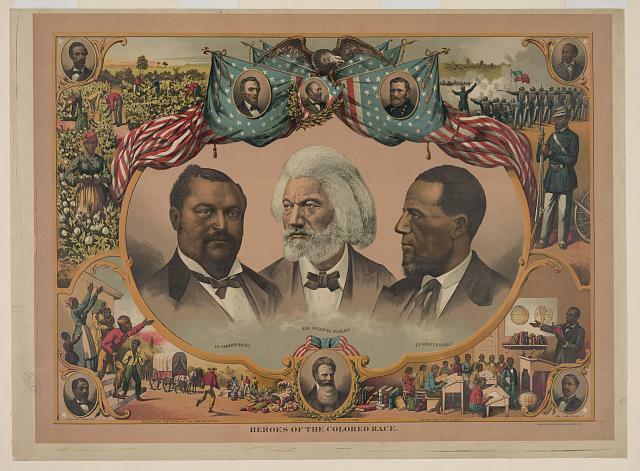 The end of Reconstruction culminated with the contentious presidential election of 1876 and a fractured, divided society seeking compromise to achieve national unity and a peaceful transition of power. The terrible truth is that the compromise came at the price of the civil and human rights of black Americans in the South. White dominance was restored in the former Confederate states; the federal government, which had safeguarded rights granted by the 13th, 14th, and 15th Amendments, withdrew; and racism was enshrined as the law of the land, eventually growing into the system we know as Jim Crow. Even now, 150 years later, the legacies of this era are very much alive and hold crucial lessons for us today. The efforts to thwart African American progress combined with reverting back to racist policies and laws, belies the myth of contemporary progress towards equality. The relevancy of this history is hard to ignore, especially in the context of Obama’s presidency. The idea that we achieved a post-racial society with the first black president was a heavy weight for any one person to hold. The challenges and constraints that came with this notion are a reminder that there is a long road ahead to resolve our racial tensions. However, if we can understand the path that unfolded from the days of Reconstruction, we can more clearly see the path in front of us. We can come to recognize the way to achieve this is not through one person alone, but through a collective reckoning. As a nation we must face our past—and present—racial tensions before we can create an inclusive future for everyone. Eight days before the inauguration of his successor, President Obama established a monument to the Reconstruction era in the heart of the former Confederacy. So while one legacy of the Obama Presidency is additional proof of the failure to live up to our country’s ideals, another will be a tangible reminder of the task ahead of us and the way forward. Watch Harvard historian, Tim McCarthy, shed more light on Barack Obama's legacy as the first black president through the context of the Reconstruction era. Jeremy Nesoff is the Associate Program Director for Facing History's Leadership Academy. Jeremy started his teaching career in a New York City public school, where he participated in his first Facing History seminar. As the grandson of two Holocaust survivors and a believer in the transformative power of education, Facing History resonated deeply. Jeremy was a Facing History teacher and administrator for 10 years and completed training to be a principal. He also has 3 children who are all enrolled in Boston Public Schools and will be taking Facing History courses in their near future.